Plank Road Bridge This bridge, spanning the Schroon River south of Warrensburgh, acquired its name in the 1800s when the structure was owned and maintained by the Warrensburgh-Lake George Plank Road Company. 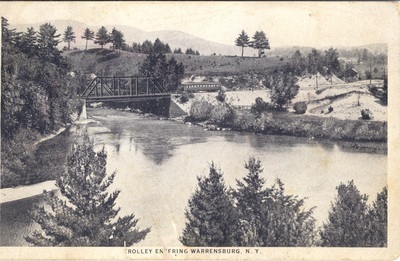 Efforts of four of Warrensburgh’s prominent businessmen - Thomas Gray, Pelatiah Richards, Joseph Woodward, and Benjamin Burhans, resulted in the laying of a plank road connecting Warrensburgh and Lake George about 1848. 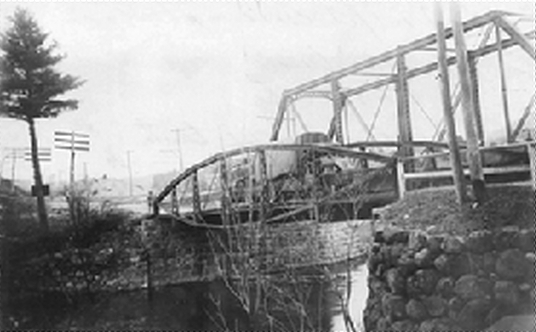 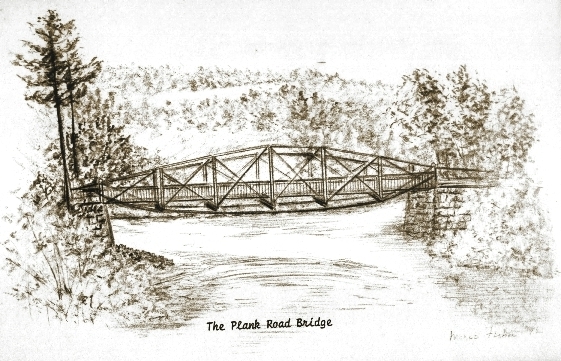 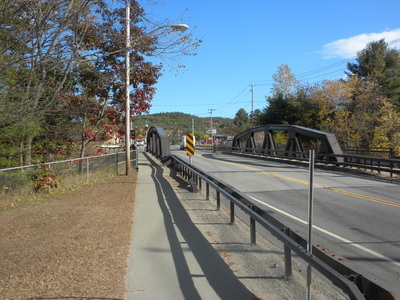 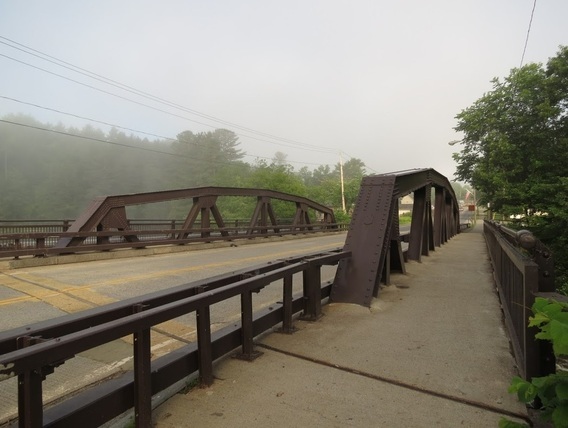 The plank road bridge collapsed in 1931 and was replaced with a steel bridge by NYS Department of Transportation. At one time in the early 1890'S there were two steamboats on the Schroon River. 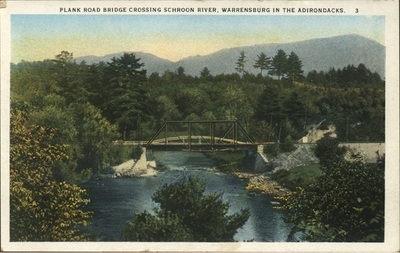 Charles Burhans had one and so did James Emerson. 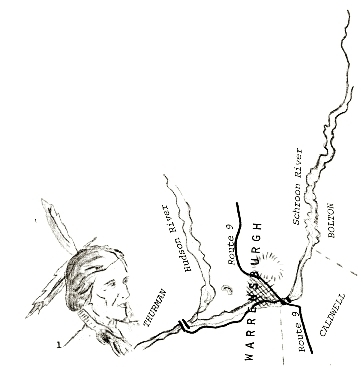 A channel was dredged in the shallow places and the steamboats could make the six-mile run as far as the County Home. Each boat could carry about fifteen people. Boating got to be quite a sport in those years. 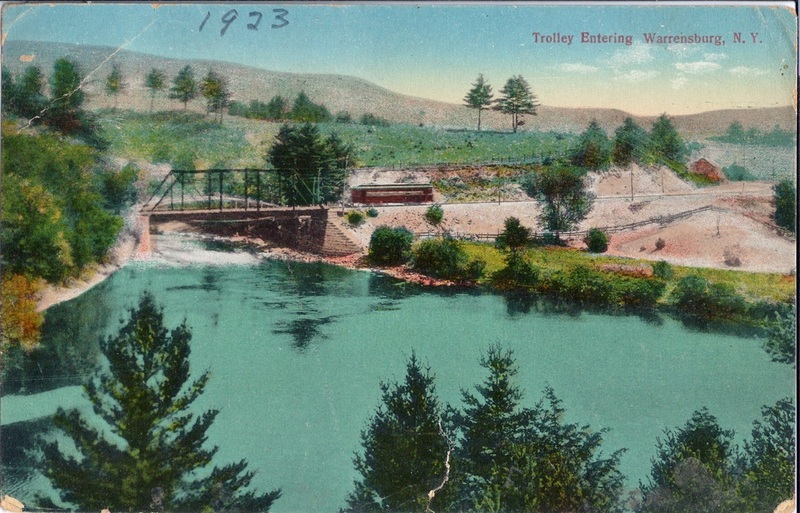 Sheridan Prosser had a boat dock where the Ford Garage is now, with ten or twelve boats for hire; on nice days they were generally all in use. 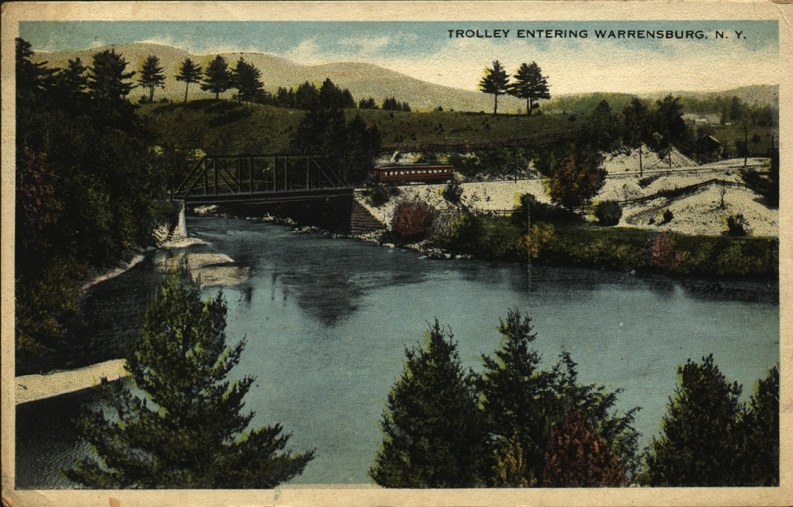 There were many privately owned boats also.